Free Video Joiner - Free Video Joiner Software - Tutorials - How to Cut Video Files to Smaller Ones Easily? Tutorials with easy steps to use our software without hassle. Tutorial - How to Cut Video Files to Smaller Ones Easily? Have you ever wanted to share just the good parts of the video with your friends? With Free Video Joiner, you will get any part of the video within just 3 steps. It has the ability to cut video to smaller clips without sacrificing the output quality. Click "Add" and choose "Add File" and in the popped up explorer window, choose the video you want to cut and click "Open", then you will see the video listed in the program window. 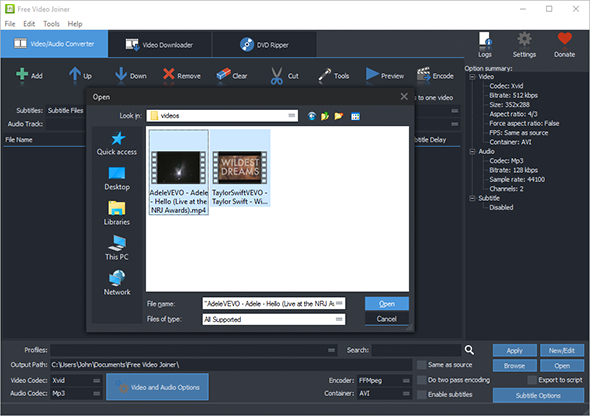 If needed, "Add Folder" or "Add Folder Tree" can also be used to import multiple video files conveniently. Left click the video you want to cut in the list and click "Cut" to activate the cutter window. To play the video, click the triangle. To set the start/end point, just click on the play progress bar to find the time point and click the arrow buttons next to triangle button: "Set this position as start" & "Set this position as end". Then, click "Save Changes" when you are done and close the cutter window. For accurate selection, just use the jump 1 second forward or backward on the bar. If you want to change the start/end point, click "Reset Changes". 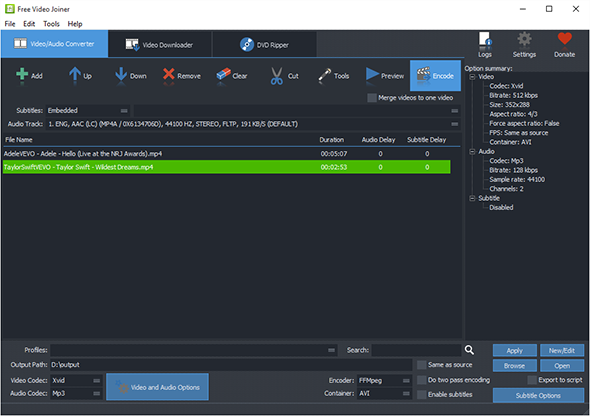 You are allowed to cut multiple video files at one time. Just set different start & end points for each video file and they will be cut in a batch. Click "Encode" to start cutting. When the process is finished, click "Open" to find the output video. Copyright © 2005 - , FVJ Co., Ltd. All Rights Reserved.